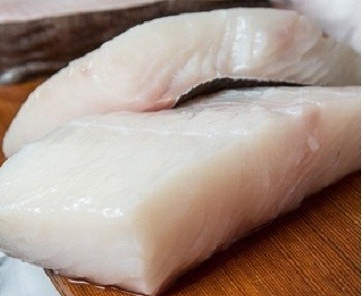 This week we are flying in Fresh Alaskan Halibut! We will be matching this great catch with the rare and incredible flavor of Black Garlic. Black garlic is a type of aged garlic which is browned by the Maillard reaction rather than caramelized. It is made under specialized conditions of heat and humidity. Bulbs are kept in a humidity-controlled environment at temperatures that range from 140 to 170 degrees Fahrenheit for 60 to 90 days. There are no additives, preservatives, or burning of any kind. The enzymes that give fresh garlic its sharpness break down. Those conditions facilitate the Maillard reaction, the chemical process that produces new flavor compounds responsible for the deep taste of seared meat and fried onions, the cloves turn black and develop a sticky date-like texture. The taste is sweet and syrupy, basically roasted garlic times 1,000,000 in terms of flavor and roasted-ness.